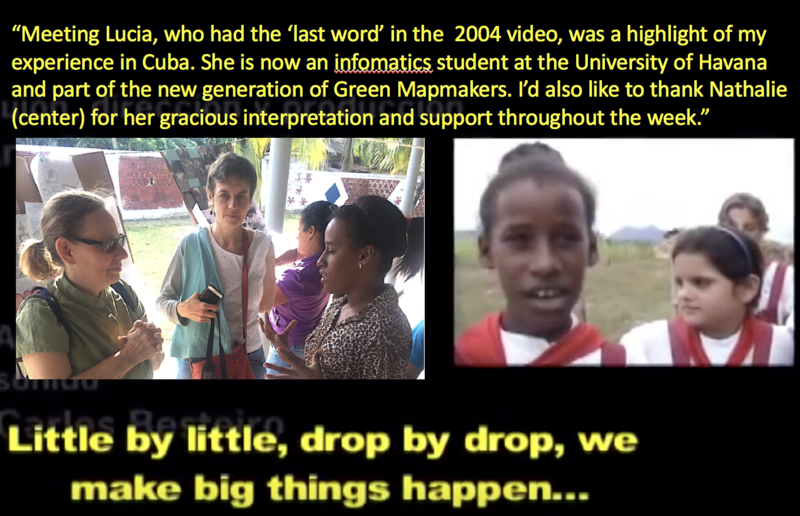 Our story starts in November 2016, when our director, her partner Ray Sage, and Irapuato Mexico's Green Mapmaker, Nathalie Castiaux, met with leaders from the Centro Felix Varela, an NGO in Havana Cuba. Following a welcoming lunch with the whole staff, we learned about the wonderful week planned by the Green Map team. 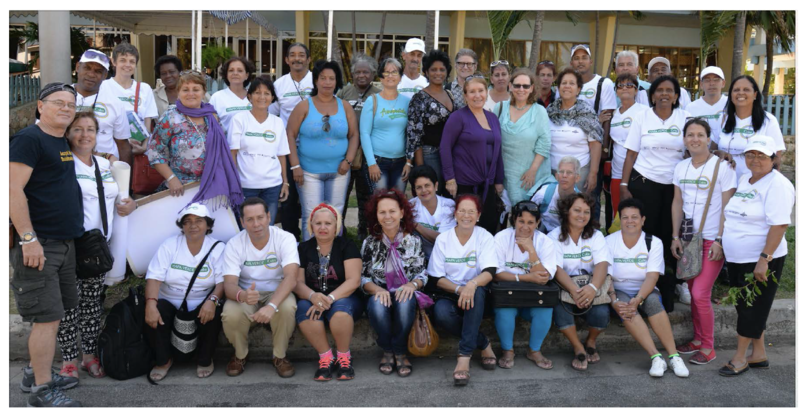 This group has led Mapa Verde Cuba for more than 15 years! Fast forward to December 2018 - the whole team is celebrating 20 years, and making a new film about it! See their first documentary here, Gotica y Gotica. Update post-Hurricane Irma 2017: Liana Bidart, director, wrote, "In the Rincón de Guanabo, Irma devastated the dune and all the vegetation of the beach, but the Mangroves resisted the attack and protected the infrastructures of the station. This place had the least impact in Guanabo, while in other communities of the coastal north coast the damage was terrible. The office in Havana lost furniture, documents, and office material, but could reopen in a week and Green Mapmakers in the province of Ciego de Avila were strongly affected but there were no losses of human lives". Led by biologist Liana Bidart, a team of five organized an on-target three day workshop with 40 Green Mapmakers at a seaside hotel. This terrific event included exhibits from eight 'nodes' that include 1863 members across the country, presentations by every group and co-development of 2017 goals, which include stepping up on climate change and women's empowerment. We also toured a community center and heard from youth, seniors, project leaders and partners, rounding out the story of this program's impacts. Nathalie brought resources from her mapping project which aims to bridge a river that separate community members in central Mexico. We also shared images and outcomes from projects worldwide. 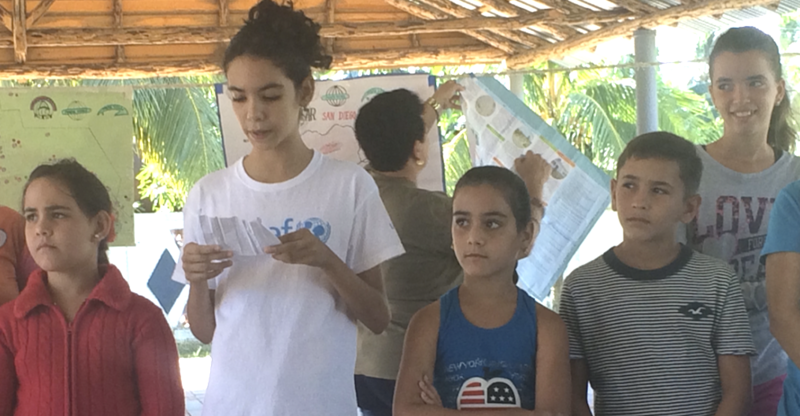 The Cubans found the example of the China Mangrove Conservation Network (CMCN) especially valuable as the protection of mangrove forests is of critical importance to this island nation. Habitat protection, tsunami mitigation, and pollution prevention are part of what mangroves do. 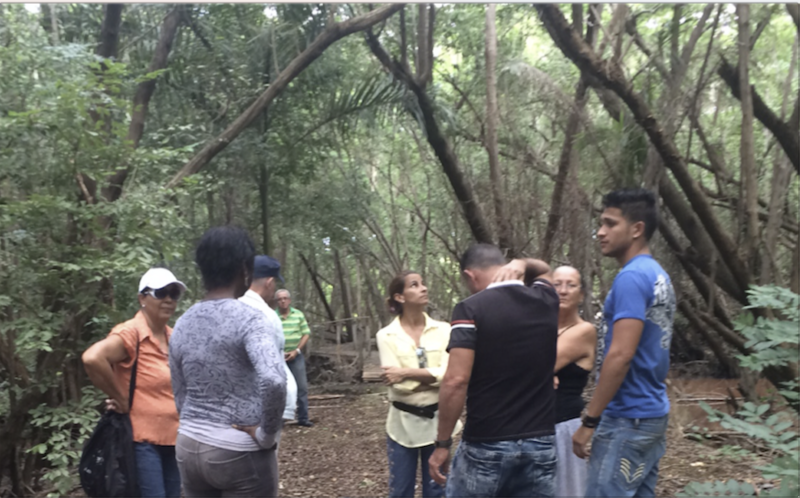 Later, we walked thorough the mangrove forest at Rincon del Guanabo. There, Green Mapmakers have worked to restore mangroves and beach plants along the ocean and around the waterways that lead inland. A great deal has been accomplished in three years, including efforts to propagate sea plants in different soils, and initiatives that involve youth and community members of all ages. We'll help the two groups exchange best practices in the near future. Perhaps, through the Green Map network, new ways of supporting mangroves and related coastal natural systems can be developed. On Saturday, we met lots of enthusiastic young people in Pinar del Rio. This rural community has been making Green Maps for more than 15 years. It was exciting to meet the young woman, now an informatics student, who appears at the end of Gotica Y Gotica, the 2004 video created about the network (watch it here - part 1 | part 2 | part 3). Our thanks to everyone who made this such a remarkable experience, including our interpreter, Raiko Valdes Casanova. One of our suggestions is already moving forward: to create a database of all the sites already mapped and use desktop GIS to create new kinds of maps that share the remarkable progress with new audiences. There is more to come, of course! Contact us about helping this project thrive, or reach out directly to Mapa Verde Cuba through the Centro Felix Varela website at www.cfv.org.cu.